Does conventional medicine treating the Normal Vicissitudes of life as a disease make any sense to you? Well it shouldn't. If you had a choice of between treating moderately high cholesterol in the range of 200 to 230 mg/dl, or your high blood pressure; which should concern you more? Well the latest research study has found that lowering blood pressure substantially lowers the risk of stroke, heart attack, heart failure, and other forms of cardiovascular disease in women. And, I see no reason why men would not likewise benefit from working on lowering their high blood pressure. Treating High Systolic Blood Pressure is even more important. 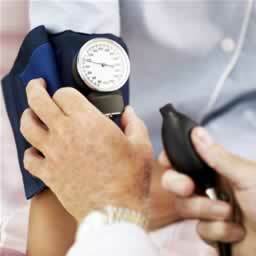 A systolic blood pressure, or the upper number, of 140 or higher is considered to be hypertension, or too high. The recommendation to lower your blood pressure especially applies to anyone with a high systolic blood pressure. A diastolic blood pressure, or the lower number, of 90 or higher is generally considered to be hypertension or too high. In fact, compared to your cholesterol levels a high systolic blood pressure was found to be the most important risk factor. The risk was even higher to that caused by smoking. The study found that a mere 15 mm Hg increase in systolic blood pressure increased the risk of cardiovascular disease by 56 percent in women, compared to 32 percent in men. Be sure to regularly monitor your blood pressure. And unlike testing your cholesterol levels, monitoring your blood pressure is very easy and inexpensive to do. Nor, do your blood pressure reading need a lot of interpretation as to their meaning. An effective and easy way to treat both high blood pressure and to lower your LDL cholesterol blood levels is by supplementing with vitamin D. If you are dosing with about 5,000 IU of vitamin D a day then you should be able to expect some type of an improvement in your blood pressure after about 3 months of supplementation. International Database on Ambulatory blood pressure in relation to Cardiovascular Outcomes Investigators. Hypertension. 2011 Mar;57(3):397-405. Epub 2011 Jan 24.